The mother of a Centennial High School student is trying to raise awareness to a growing problem in Las Vegas, White students being targeted by Black Gangs in vicious hate crimes. 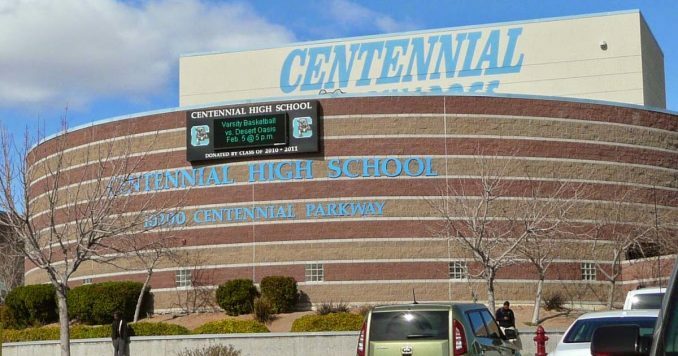 Earlier this week, a 16-year-old was suspended from Centennial High School for a fight in the bathroom; unfortunately, it was the victim who the Clark County School District (CCSD) targeted for punishment instead of the 20 black students who have been systematically targeting white students with violence. “The kid throws my son on the floor and is stomping him all in the head,” said Sherry, the mother of one victim. She told 3 NEWS — the only Las Vegas news station to even cover the story — that she did not want to be identified because she feared what would happen to her and her son. CCSD Covers up Crimes Against Whites and Refuses to Suspend Minority Students! In 2013, CCSD changed their disciplinary policies on the suspension and expulsion of minority students. Instead of holding these kids accountable for their crimes inside Las Vegas schools, they decided to ignore the problem because suspending them was somehow racist. The district changed protocols to reduce the overall number of suspensions and expulsions of minority students, limiting when a principal can recommend expelling a minority. Are Minorities in Vegas Schools rewarded for causing trouble? You really can’t make this stuff up. Bonanza High School and Cheyenne High School actually rewards minorities who commit crimes instead of suspending them! According to the Review Journal, instead of punishing minorities who are causing problems they reward them with therapy dogs, treadmills, and art supplies. At Bonanza, a classroom across from the main office is outfitted with a treadmill, a couch and ample art supplies and board games. Jermone Riley, the school’s behavioral strategist, wanted it full of ways to help kids blow off steam and avoid confrontation. At Cheyenne, Principal Roxanne James brings her therapy dog, Wrigley, to school to help calm student nerves. 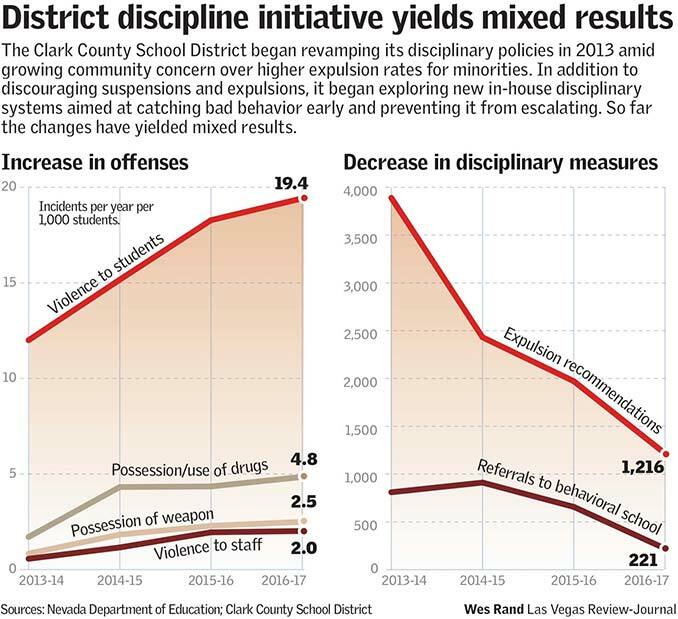 In Clark County, incidents involving student-to-student violence jumped from 3,781 in 2013 to 6,227 last year. Student violence against teachers and staff increased from 178 to 647 incidents during that same time period. Just a small look at your local Las Vegas Schools: Thanks to CCSD!